AMF Thermatex functional and innovative tiles set pioneering trends in the functional-aesthetic concept of modular ceilings. Ceiling design is always an important factor during architectural planning and interior design. AMF Thermatex has a wide range of ceiling tiles to meet all your needs. Large retail spaces and canteens must always impress with an overall appealing design. Thermatex ceiling tiles feature a classic design range with a wide selection of finishes to harmoniously integrate any room. Modern architecture requires a ceiling tile that can improve room acoustics of hard, reflective components and plain, smooth surfaces. The Thermatex acoustic solutions are adapted to the sound requirements of different spaces while maintaining the AMF ceiling tile attractive aesthetic. Healthcare facilities and other spaces with sensitive hygiene regulations see acoustics as one of the important factors for creating a healing atmosphere. 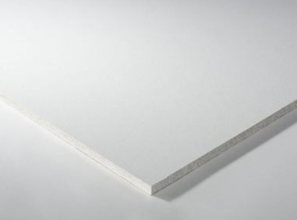 AMF ceiling tiles Health and Hygiene range enables high quality, acoustic ceiling design. They also maintain an impressive functional and aesthetic benchmark. The wide range of designs in the AMF ceiling tiles range allows architects and designers create a distinctive, unmistakable appearance. The AMF high quality mineral ceiling tile range provides fantastic acoustic quality while remaining open for vibrant interior design. Finally, the Thermatex range is 6u4 international benchmark for quality standards and functional properties. AMF Thermatext continues to set pioneering trends in the functional-aesthetic concept of modern modular ceilings. Design meets function with the AMF Thermatex range. This innovative range of ceiling tiles features a wet-felt process and are made from bio-soluable mineral wool, perlite, clay and starch. As a result they are based on natural, sustainable and renewable raw materials. Further production control utilises ISO quality and environmental management processes. This guarantees consistent high quality and safety as well as environmental security. Spaces require different areas of absorption to achieve the right room acoustics. AMF Thermatex provides a range of acoustic elements to formulate creative solutions for acoustic needs. Finally, AMF ceiling tiles range focuses on meeting the highest aesthetic requirements. Explore the AMF range below, today!